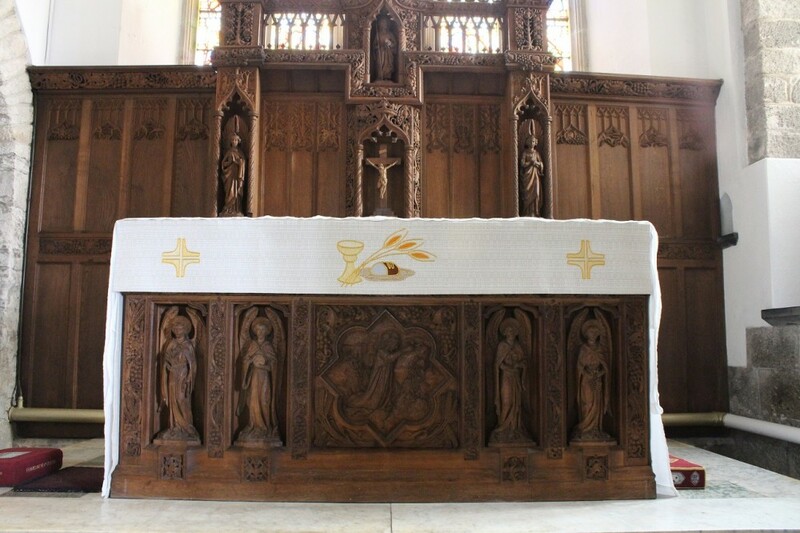 The high altar and reredos was carved by the Pinwell sisters of Plymouth, responsible for much of the best wood carving done in the west country in the early part of the 20th century. They are dedicated to Canon Martyn who was rector of St Buryan from 1882 to 1913. There is a lovely story told by his Great Grandson, Timothy Scott Saunders; Canon Martyn used to combat the reluctance of farm labourers who refused to attend Sunday Services by challenging them to a boxing match. If they won they could absent themselves, but if he won they had to go to church. Being a Cambridge Blue he always won. During sermons he stood no nonsense, he would order someone to stop eating or tell granny to sit up and pay attention.